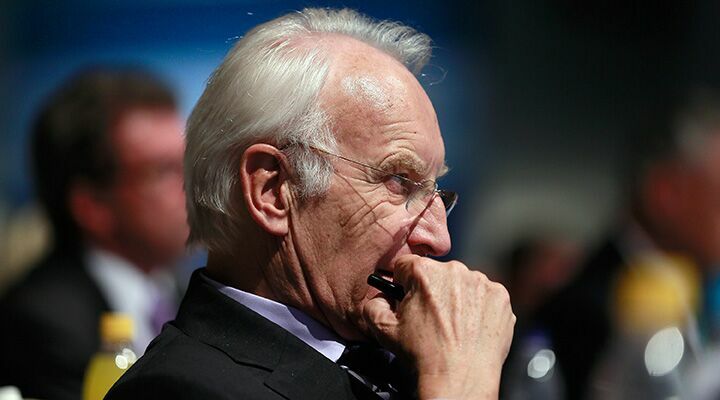 Former Bavarian Prime Minister Edmund Stoiber was once a contender for the chancellorship and is still a powerful force in Ms. Merkel’s sister party, the Christian Social Union (csu). Since he retired from front-line politics in 2007, he has generally refrained from commenting on political issues, but now he’s eager to talk to the press. “Stoiber continues to play a strong role in the csu,” it reported. “Especially in the dispute over the refugee policy; Stoiber has pulled the strings from the very beginning” (Trumpet translation throughout). “And after these elections the world in Germany will look different,” he said. If Ms. Merkel sticks to her current course, Stoiber said, the csu needs to work against Merkel within her own party, the Christian Democratic Union. This would mean working “against the will of the chancellor,” he said. He dodged all questions on whether this meant removing Ms. Merkel from the chancellorship—but he left the threat hanging. Stoiber wants to close the borders for all refugees and, with it, end Germany’s solo effort. Only then, he believes, will pressure on other Europeans increase to the point that they will participate in a common solution in the refugee problem and not just waive people through to Germany. “We still do not know who is coming into our country,” he said. Stoiber sharply and personally confronted Ms. Merkel on the subject at a meeting behind closed doors earlier this month. But he was eager to state this criticism in a more public forum. Süddeutsche Zeitung wrote that it received a tip from the csu that the paper should talk to Stoiber. It called Stoiber to set up an interview—only to have Stoiber call back to reschedule for an earlier date. Stoiber first began breaking his self-imposed silence back in September when he told Bild that he rejected Ms. Merkel’s belief that Islam is a part of Germany. He also said at the time that there were limits to how many refugees Germany could take on. Commenting on those statements, Trumpet editor in chief Gerald Flurry wrote, “Edmund Stoiber’s criticisms are of special interest because of this man’s fascinating history.” Stoiber was a political disciple of Franz Josef Strauss and mentor to Karl-Theodor zu Guttenberg. Strauss envisioned a strong Germany within a federal Europe, and his political successor continues working for this same end. Has Germany’s Strongman Finally Arrived?